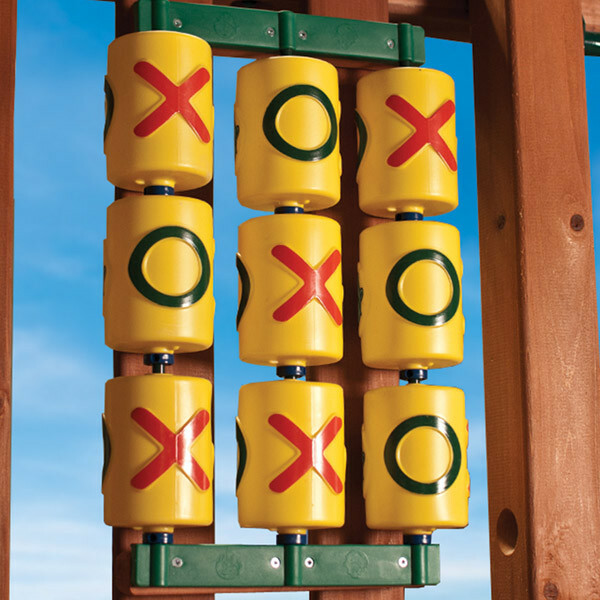 Kids will spend hours challenging each other to game after game with a Tic Tac Toe Spinner Panel attached to their play set. Three in a row is still the name of the game but the age-old battle becomes more interesting when you have to spin a wheel to find the shape of your choice. The panel comes with all of the needed pieces including 9 spinner cylinders, 3 spindles, and all of the needed hardware. All you need to provide is 2 wood boards that are 23 ¾" in length and a couple hours of your time.